In the 25+ years I’ve been a professional in the Interior Design industry I’ve had the privilege of receiving 30 Interior Design Excellence Awards. I am incredibly grateful for my clients who have entrusted me with their homes to express my talent. Each project is unique and has its own challenges and rewards. There is nothing that compares to putting final touches on the projects and experiencing results, it’s what I love the most. This impressive estate was missing one major feature, a dramatic Master Bath. Through creative space planning, we found the necessary square footage already under roof! The master upstairs deck was repurposed into a Master Sitting Room, boasting the best views of the house, while allowing the relocation of the entrance into the new Master Bath Retreat. The interior walls were stripped down to the studs to begin the remodel and transformation, in which every detail was replaced. Existing plumbing locations were kept to control costs. 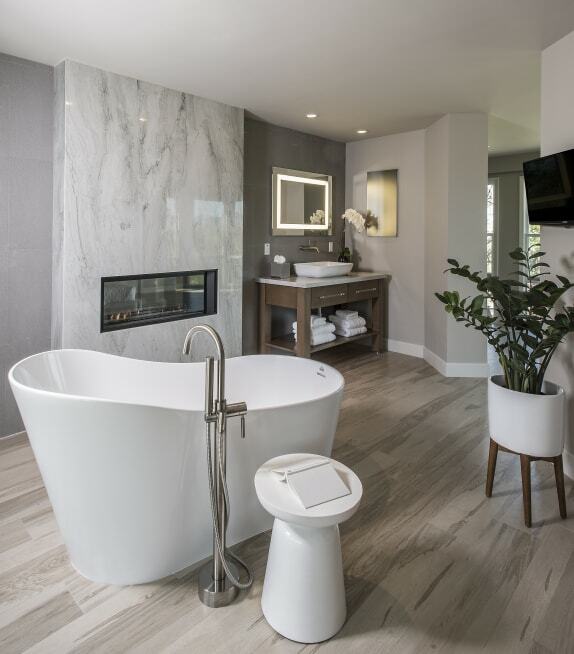 The client’s desire to have a serene Master Bath with spa-like amenities led the design. Additionally, integrated lighting was also a design requirement by the client. As a result, the shower is lit indirectly, accentuating the marble slabs, while the vanity mirrors are lighted from within. 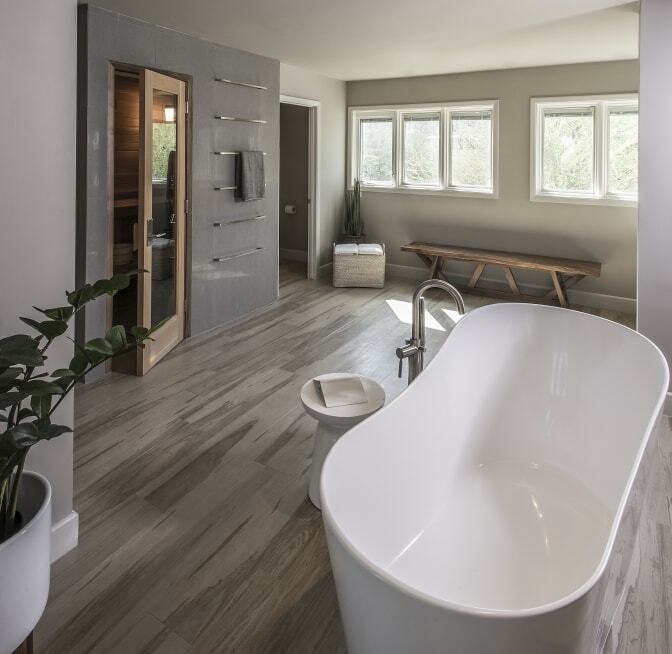 With the installation of custom vanities and the perfect soaking tub, the client’s wish list was complete.